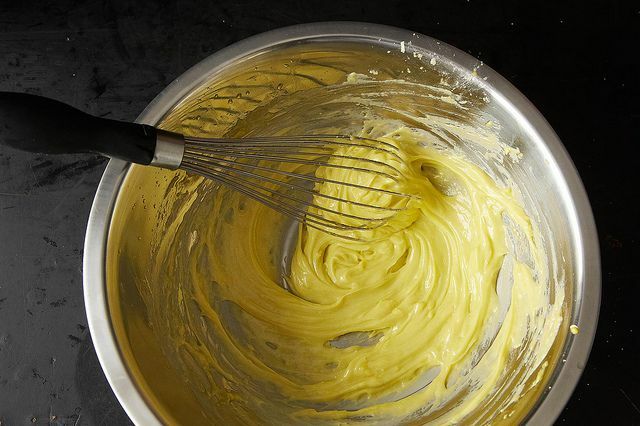 Today: Grab a whisk; we're teaching you everything you need to know about emulsification. Which means more creamy, silky sauces and dressings for you. To understand emulsification -- what happens when oil and water mix to create stable substances like mayonnaise, salad dressing, and even milk -- we are going to have to talk science for a minute. We promise that there will be no atomic diagrams, no Latin. And if you hang on until the end, you’ll be rewarded with silky aiolis, mayonnaise that won’t break, and vinaigrettes that hold together for days in the fridge. To begin: You know that oil and water do not mix. Shake them together vigorously, and they seem to combine -- until you stop. This faux-integration is called a colloidal suspension; in layman's terms, the oil, broken into smaller bits via your brute force, is suspended briefly in water. Once the force is over, they separate once more. This is where emulsifiers step in: to suspend bits of oil in water -- or vice versa -- and keep them there. They are your sauces' peacekeepers. Emulsifiers are particles that play well with both oil and water; each particle has one hydrophilic (water-friendly) end, and one hydrophobic (oil-friendly) end. The hydrophobic ends attach to the bits of oil, while their hydrophilic end faces out, forming a water-friendly cocoon around each globule (yes, that's a technical term). The hydrophilic ends repel each other, which helps to keep the oil suspended in water. To create a successful emulsion, you need two things: an emulsifier, and force. Force -- usually in the form of whisking or blending -- breaks apart the oil, dispersing it through the surrounding liquid; the emulsifier keeps it from retreating back into itself. More: This Meyer Lemon Custard gets emulsified in the blender -- all you have to do is press a button. Some emulsifiers are more effective than others. Egg yolks do a particularly good job, due to a protein called lecithin, which has held together centuries of hollandaise sauces and countless aiolis. Mustard is a classic choice for vinaigrettes. Mayonnaise is effective as well -- not surprisingly, since it is a yolk-stabilized emulsion. Try whisking a little bit into your next salad dressing. Honey and garlic paste are two of the lesser-known emulsifiers in your kitchen. 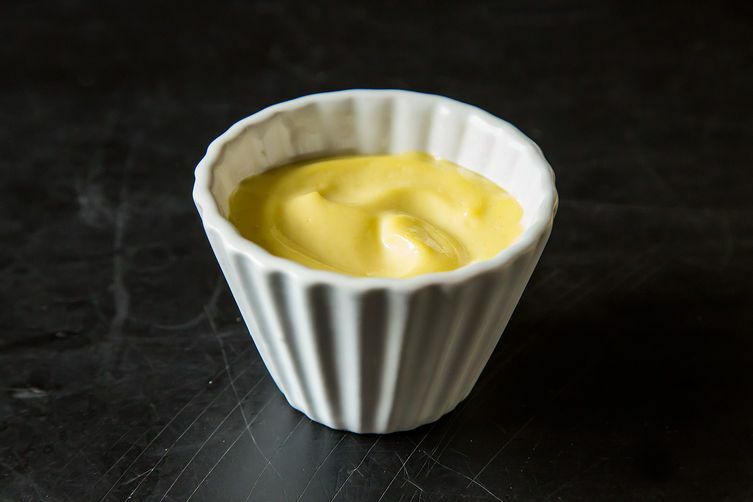 The former can serve as mustard's sidekick in a dressing, or even do the job on its own; the latter is the brawn behind Catalan's allioli, a garlic-and-oil mixture that has the consistency of a super-smooth aioli, without the egg. Getting the hang of homemade aioli can be tricky, though; we're warned constantly to add the oil only a drop at a time, and whisk feverishly after each miniscule addition. It is a slow-going process, and often results in a sore arm a day later. If we fail, the aioli breaks -- why is that? If you add oil to the vinegar and yolk too quickly, the oil bits will all just join back together, since they haven't had time to disperse and wrap themselves in the yolk's protective swaddle. Each little bit of oil needs time to emulsify before you add more. If your aioli does break, however, all is not lost -- here's how to fix it. 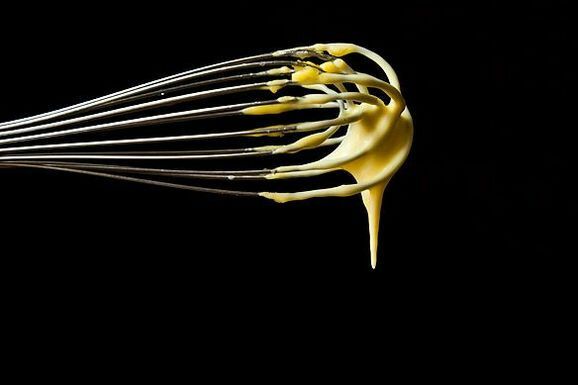 Temperature is also an important factor in aioli-making and emulsification in general. Extremely high or extremely low temperatures can also break an emulsion, which is why yogurt is so tricky to cook with, and why mayonnaise will break if applied to something that’s extremely hot. Be cautious with your mayo, and temper your yogurt -- like in this Genius stew from Heidi Swanson. Once you've successfully crossed the finish line with your emulsion and you both feel stable, store it at a reasonable temperature. The refrigerator is just fine for most sauces and dressings. Aioli: Here's how to make one without a recipe. Mayonnaise: Mix it with cumin and put it on some lamb sliders. Vinaigrette: We like the recipe that accompanies this roasted cauliflower. Cream: It's an emulsion of milk proteins suspended in liquid. Use it to sauce your pasta. Hollandaise and béarnaise sauces: These French classics pair well with blanched vegetables and eggs. 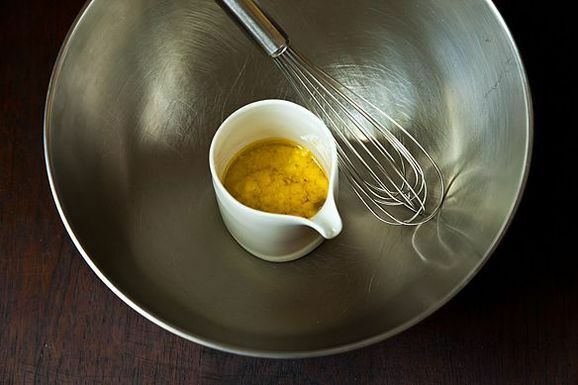 Butter: This is an example of a water-in-oil emulsion; here's how to make your own. Class is adjourned. Now go grab a few eggs and a bottle of oil. Your fries, salads, and burgers will be all the better for it. Do you have any questions, concerns, or deep-seated fears concerning emulsions? Tell us in the comments! Okay, i am from Nigeria i make soy milk and sell, i usually blend while producing to break the oil particules, But i discovered that after production and refrigerated(deep freezer) for more hours it seperates again, pls what method should i use? Marian, I read this post hoping for an answer to a question that is bugging me -- the answer wasn't there, but maybe you know it. Recently in Venice, I ate a risotto flavored with an incredibly silken basil purée. I have tried to replicate it in my cuisinart at home, but get a result with a chunky texture more like pesto. Any ideas? the link to "here's how to fix it" (when aioli breaks) opens a page that tells me I don't have permission to view. What is the best way to re-warm an emulsified sauce? I've made plenty of perfectly emulsified hollandaise sauces, yet when I re-warm them the next day, they break.